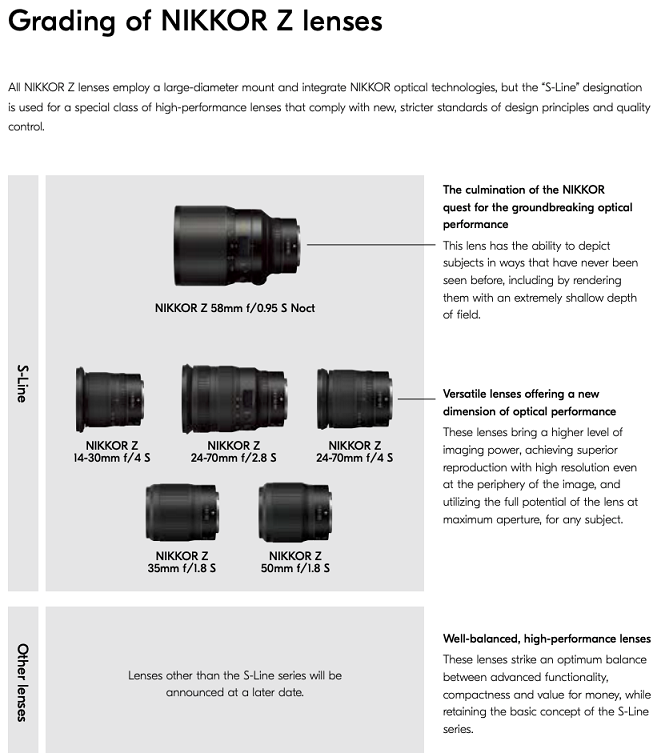 It seems that Nikon is currently working on some cheap Nikon Z mirrorless lenses (non-S), which are described as “optimum balance between advanced functionality, compactness and value for money”. These new cheap Nikon Z mirrorless lenses will not be the current “S-Line” lenses. The previous report said Nikon will announce a new DX format (with an APS-C sensor) Z-mount entry-level mirrorless camera in 2019. Maybe these cheaper lenses will be made for the new “consumer” mirrorless cameras below the Z6.